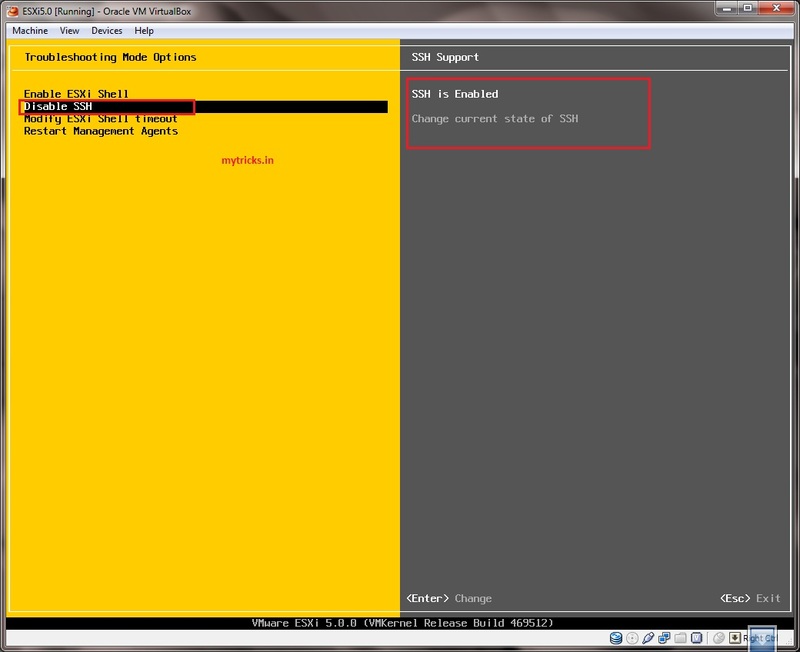 Tech Support Mode is provided for the purposes of troubleshooting and remediation. 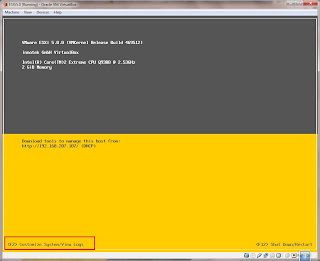 To enable local or remote VMware Tech Support Mode from the Direct Console User Interface (DCUI). 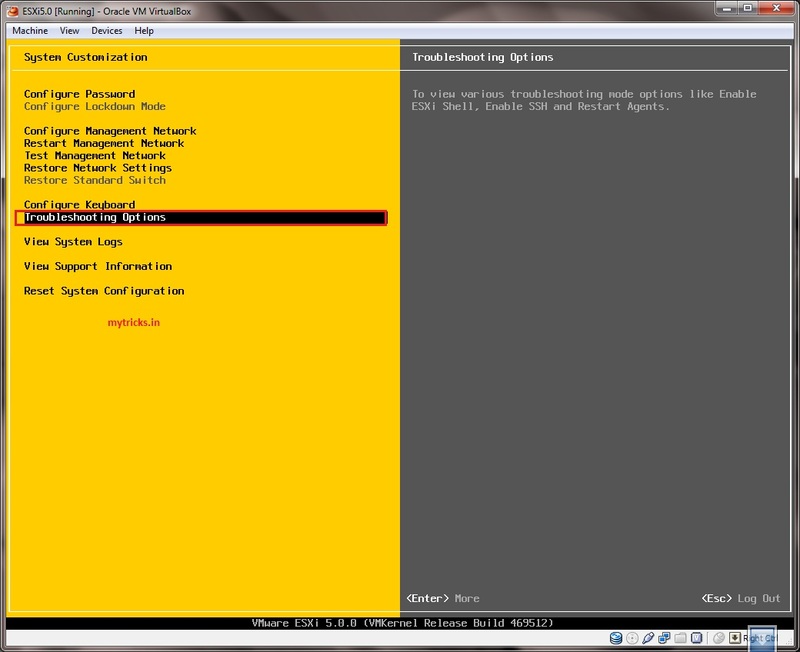 At the Direct Console User Interface of the ESXi host, press F2 and provide credentials when prompted. 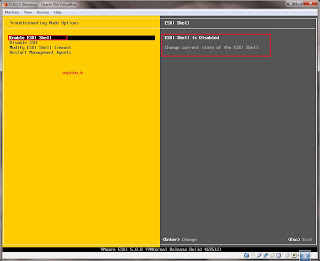 Scroll to Troubleshooting Options, and press Enter. 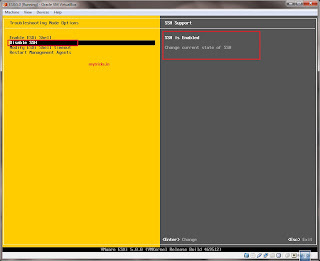 If you want to enable local Tech Support Mode, select Enable ESXi Shell and press Enter. 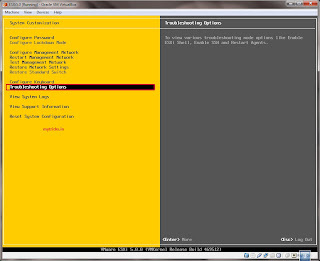 This allows users to log in to the virtual console of the ESXi host. 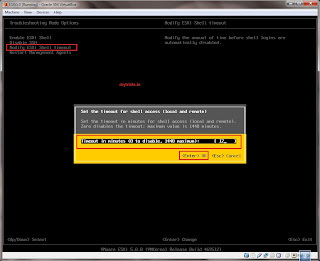 If you want to configure the timeout for Tech Support Mode. 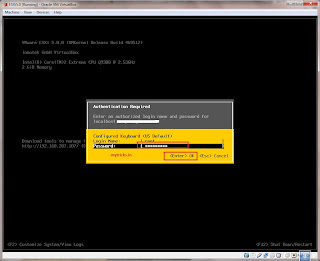 Select Modify ESXi Shell timeout and press Enter. 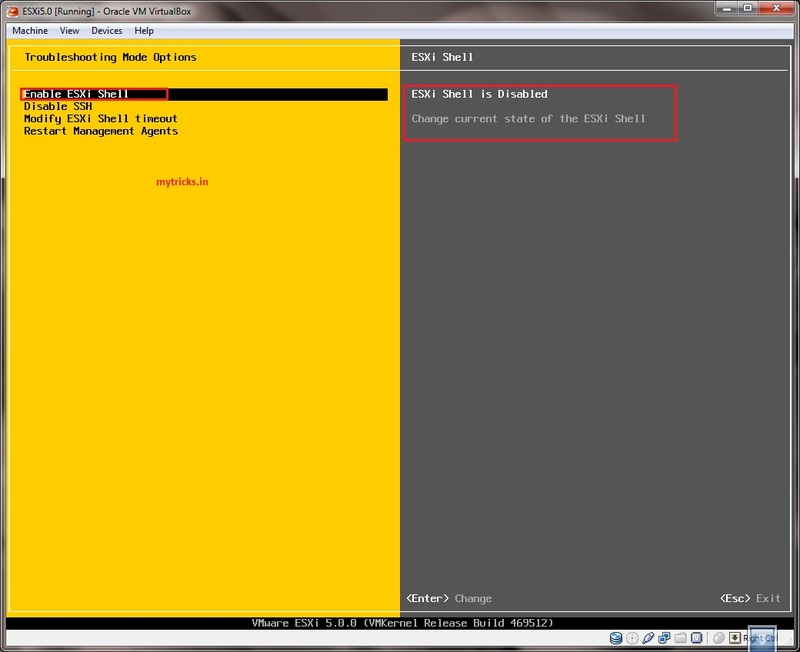 If you want to enable remote Tech Support Mode, select Enable SSH and press Enter once. 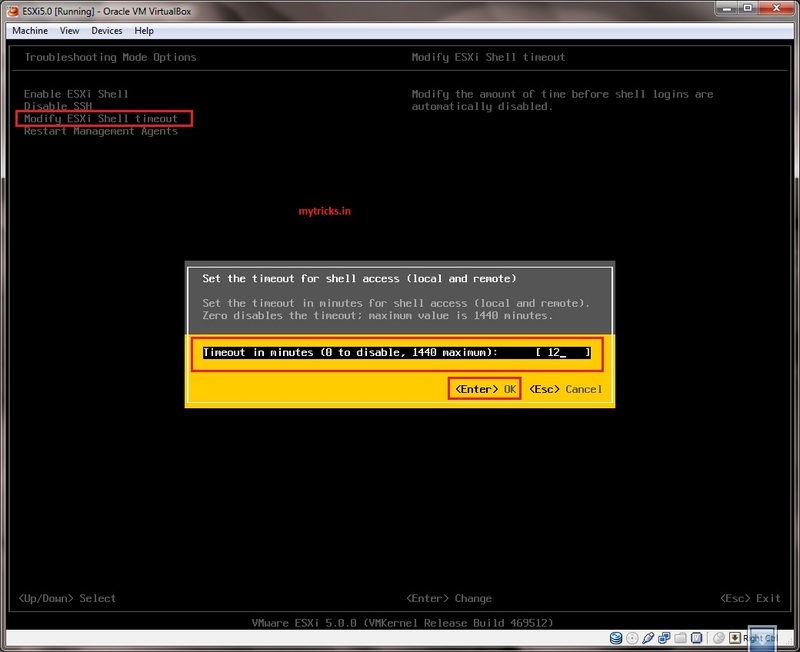 This allows users to login via SSH on the virtual console of the ESXi host. 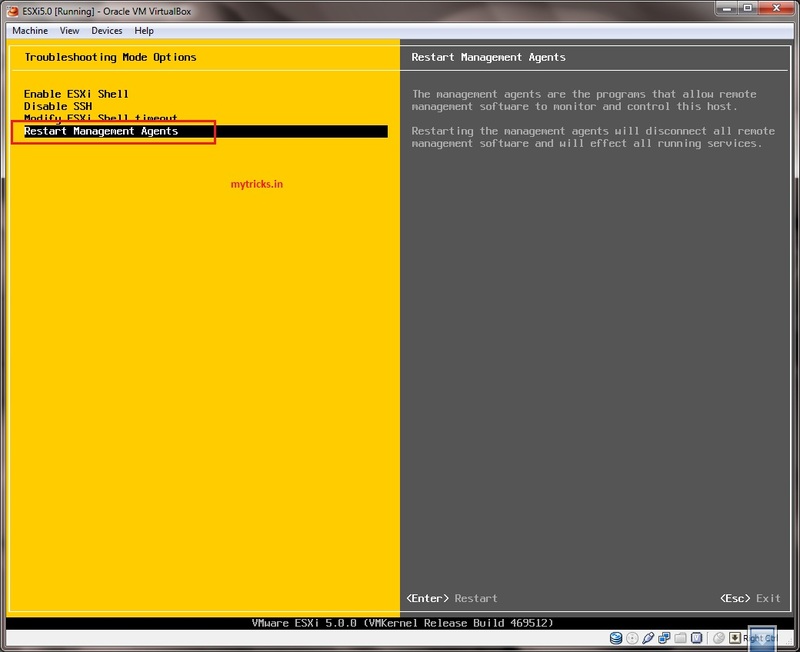 To restart Management agent use “Restart Management Agents” option. 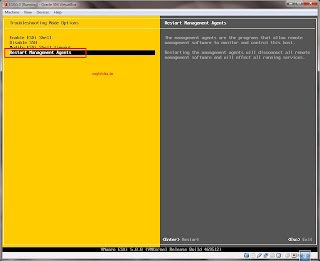 Restarting the management agents will disconnet all remote management software & will effect all running services.